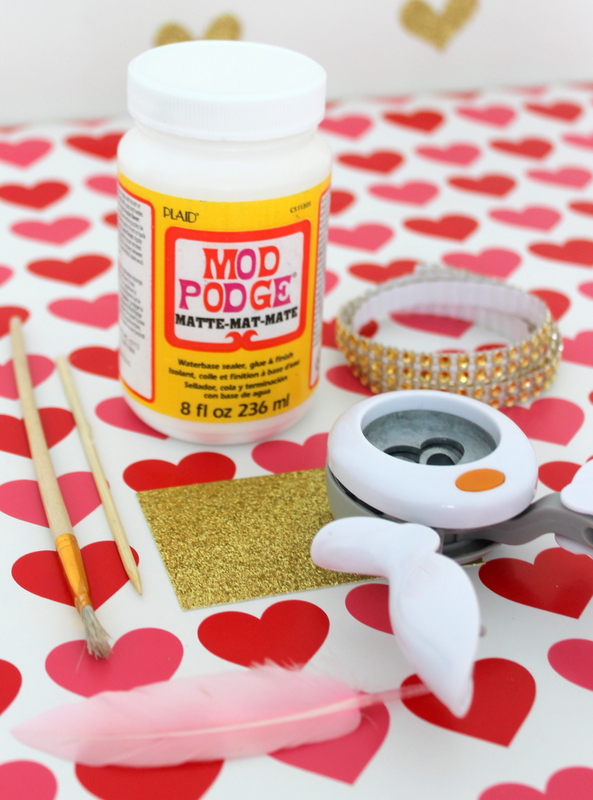 Today we are sharing a Valentine's Day glitter cupcake topper DIY from Kristen and Missy from Sweetly Chic Events & Designs. 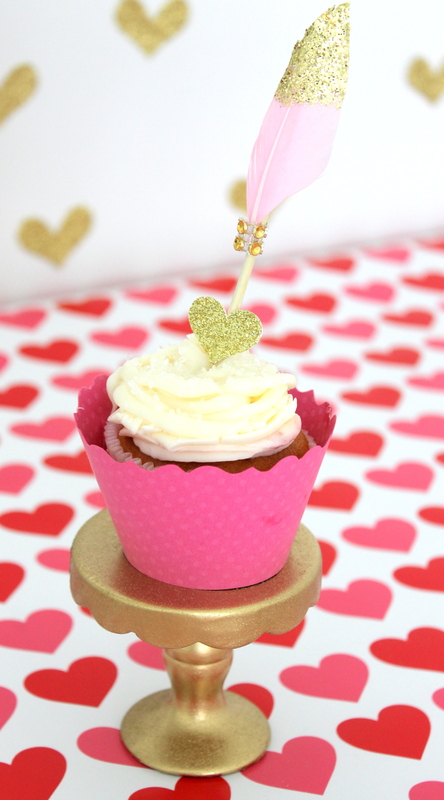 If you are planning a party this Valentine's Day how about using these to decorate your cupcakes! With Valentine's Day just around the corner, we thought it would be fun to create a glittering Cupid's Arrow Cupcake Topper to add to all of our sweets for February 14th! 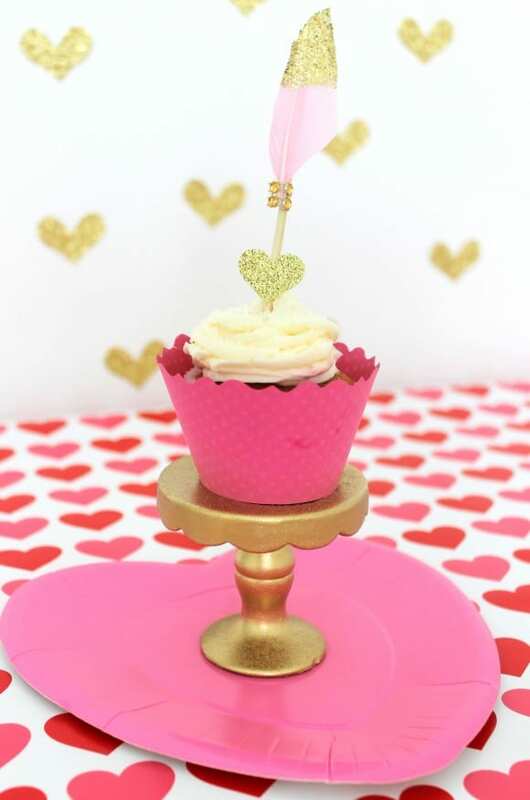 This is a fun and simple project that will add just the perfect touch of glam to your cupcakes that all of your little Valentine's will be sure to love! 1. 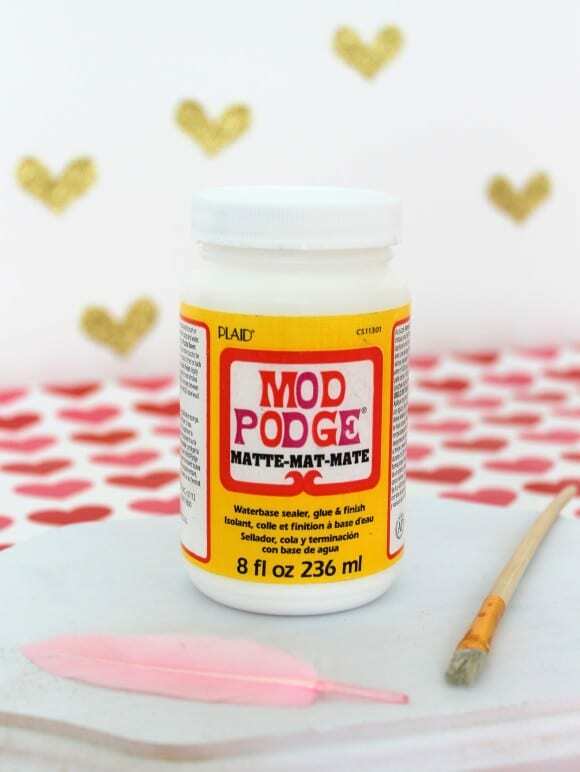 Begin by taking the feather of your choosing and add a layer of Mod Podge to the portion you would like covered in glitter. 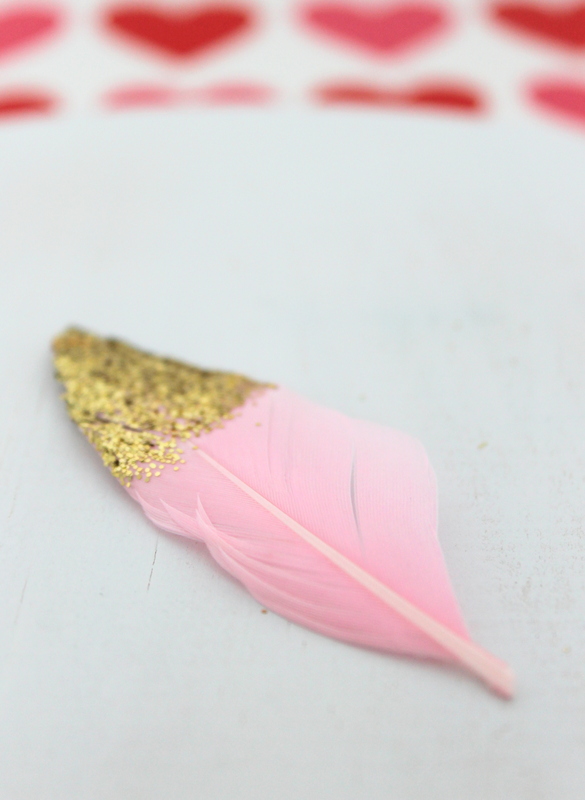 We chose a pretty pink feather to fit our Valentine's Day party theme! 2. Gently sprinkle the glitter onto the Mod Podged portion of your feather. Carefully shake away any excess. 3. 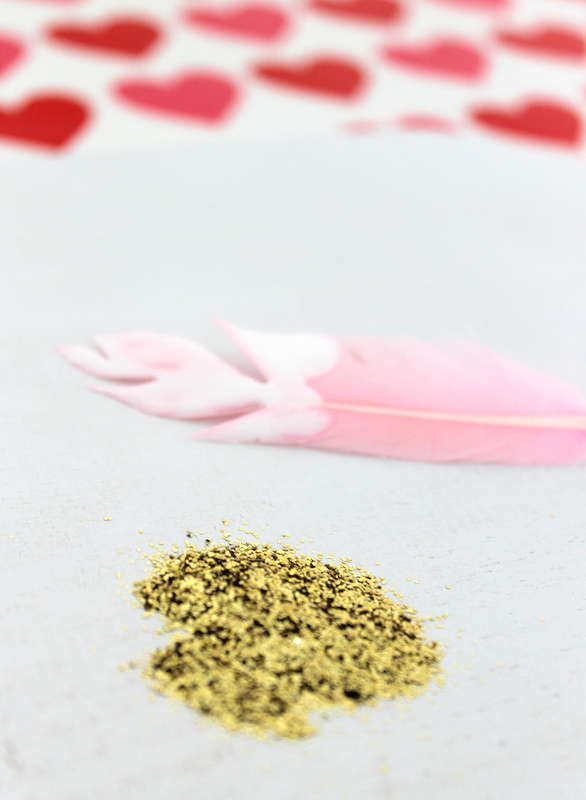 Now it is time to adhere your glitter topped feather to your bamboo skewer. 4. 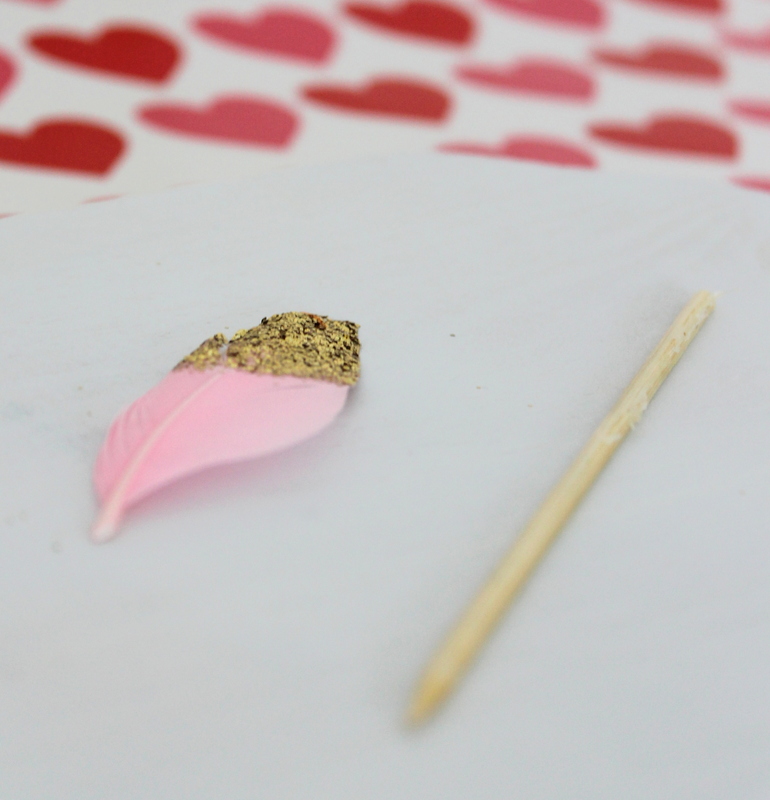 Using your hot glue gun, add a thin line of hot glue to the top few inches of your skewer and adhere the feather. 5. 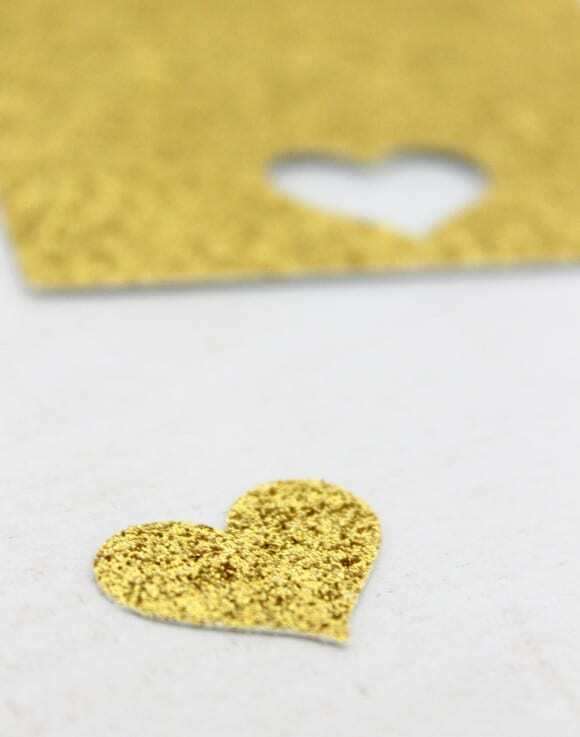 Next, take your heart paper punch and punch out one heart. 6. 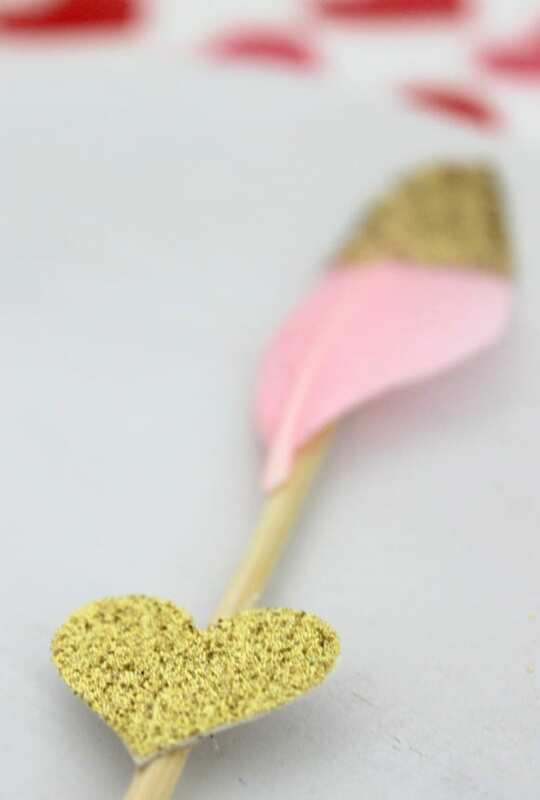 Add a dot of hot glue to the back of your card stock heart and attach it approximately 2 inches above the pointed part of your skewer. 7. It's now time to add a bit of bling to your topper! 8. 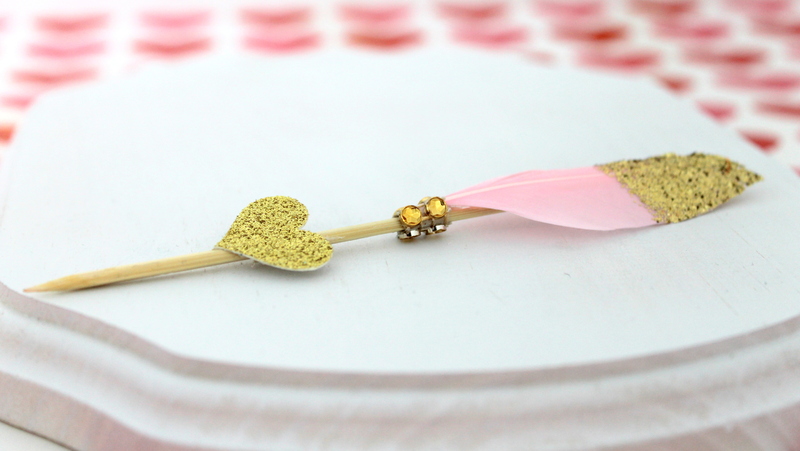 Take a small section of your adhesive jewel ribbon and wrap it around the stem of your feather on the skewer. 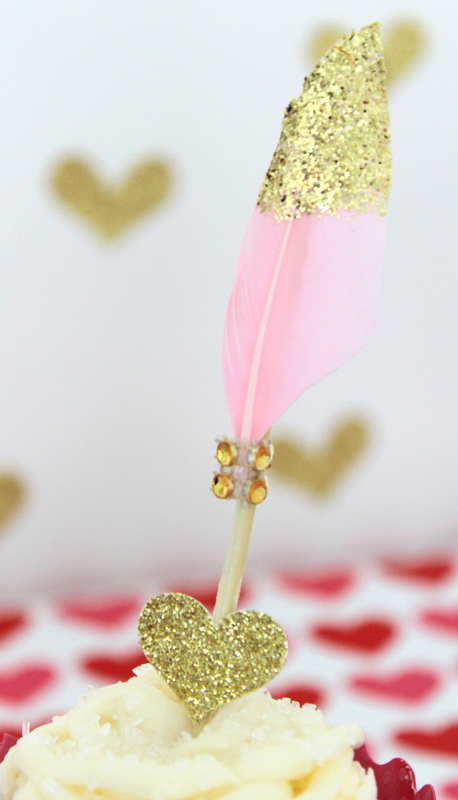 Your glittering Valentine's Day Cupcake Topper is now complete! All that's left to do is place it in a delicious cupcake! 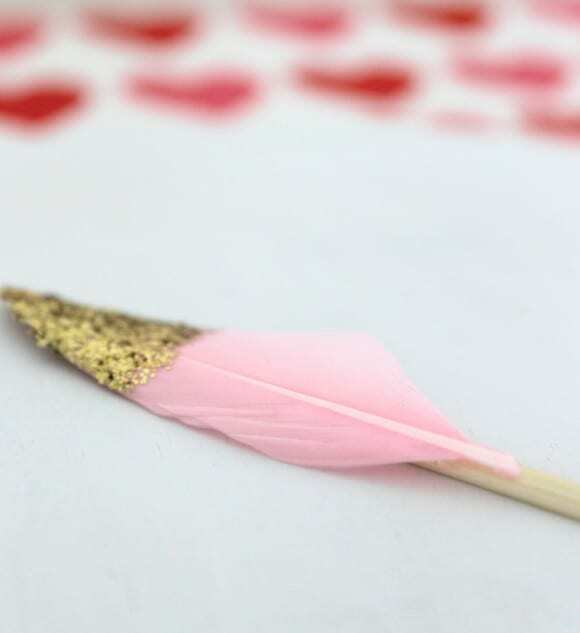 We also added a cute pink cupcake wrapper from Hoopla Events to compliment our Cupid's arrow topper! 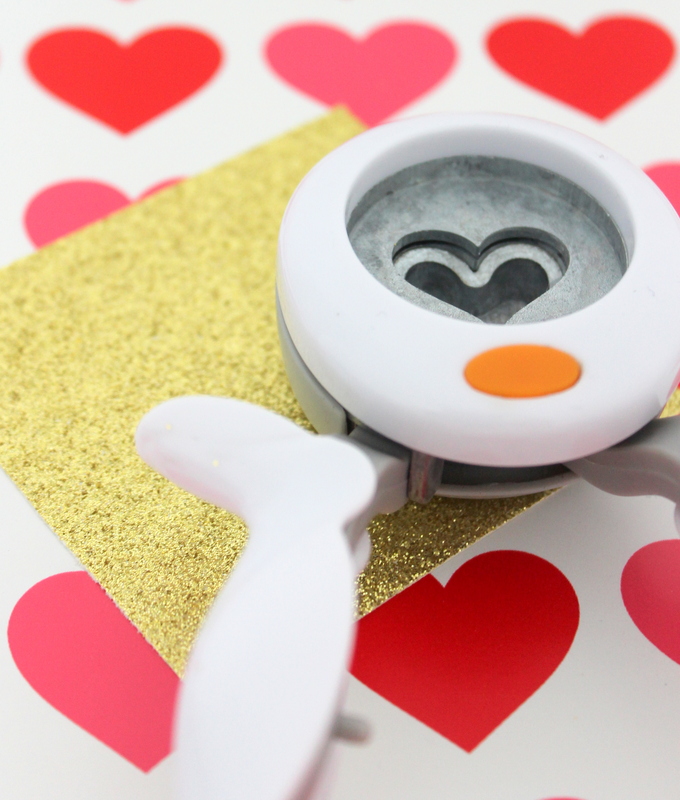 We hope you enjoy making these Valentine's Day Cupcake Toppers as much as we did! 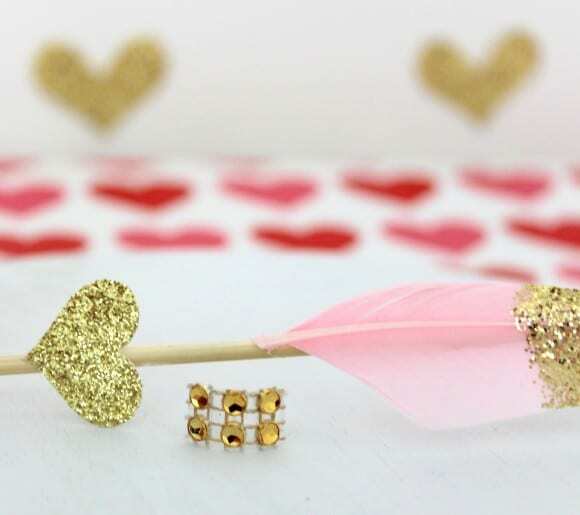 They are sure to make this Valentine's Day ever so sweet! For more Valentine's Day inspiration, be sure to check out the fantastic Valentine's Day parties on our site and all our free Valentine's Day printables.